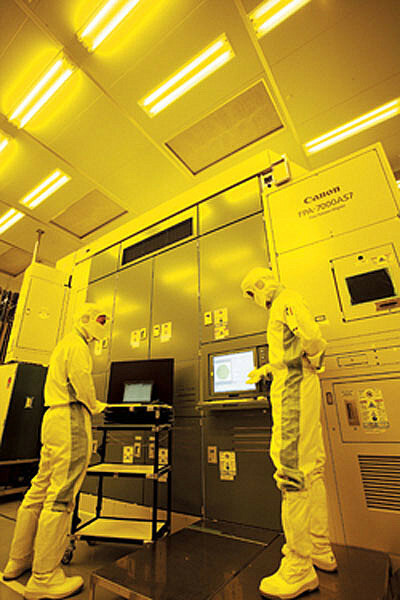 Specialty: Manufacture of imaging and optical products, including digital cameras & video camcorders, photocopiers, semiconductor manufacturing equipment - wafer steppers & semiconductor lithography systems, die bonders, computers, printers, LCD displays, and medical equipment. This Tie Bar features the image of a Canon FPA-1550 Wafer Stepper used in the semiconductor manufacturing industry for photo-lithography processing of 4, 5 & 6" silicon wafers. There is a Hitachi computer chip embedded on the front. 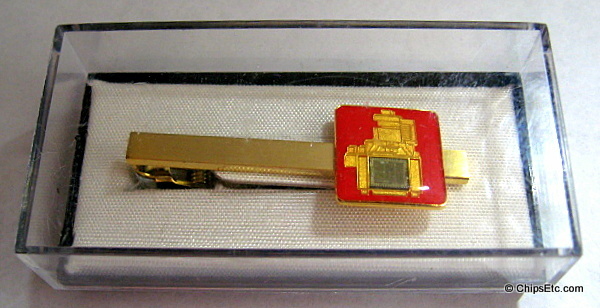 Gold-tone metal tie bar with red enamel background, in original gift box. This tie bar is the same as the item above but in blue enamel. Gold-tone metal tie bar with actual Hitachi chip, does not have gift box.